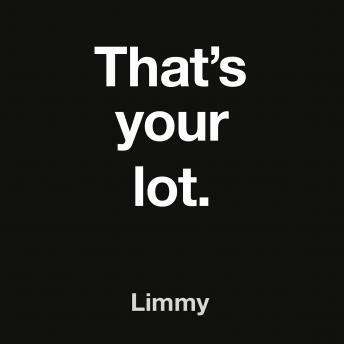 This is Limmy's second book. It's a whole load of new, odd, and hilariously grim short stories. Tom is in a soft play with his daughters. He's bored. He's so bored he can move things with his mind. A man fills up a mate's biscuit tin without ever telling him, to see what happens. Maggie's boyfriend Iain bought a curtain. It keeps attacking them. She wants it out the house. Kenny's mate Scott is suicidal and ridden with guilt. Kenny takes him on holiday to Benidorm. It'll be some laugh.